Best Electric Chainsaw Reviews UK 2019 - Which Makes the Cut? 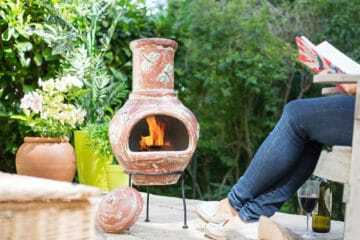 Best Electric Chainsaw Reviews UK 2019 – Which Makes the Cut? 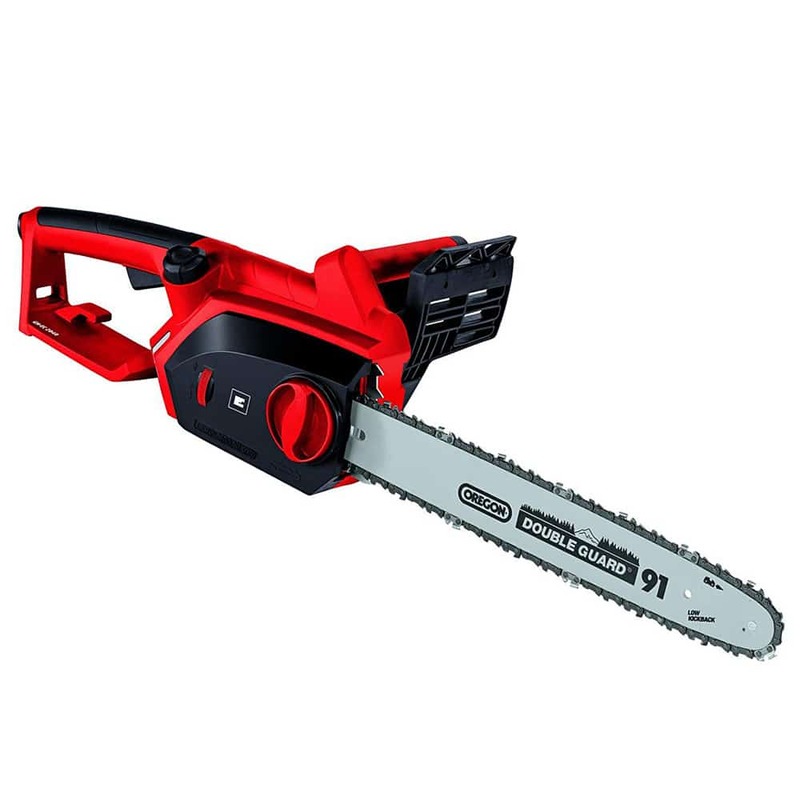 Whether you’re a professional tree surgeon, have a generously sized garden which needs maintaining, or simply like to have a good store of firewood ready for winter – the best electric chainsaw is an essential tool. These portable woodcutting machines are perfect for all manner of domestic outdoor maintenance tasks, such as pruning, firewood preparation, tree limbing and felling – making it easy for you to get your outdoor space looking wonderful. They are much quieter than petrol-powered chainsaws, as well as lighter and easier to operate. 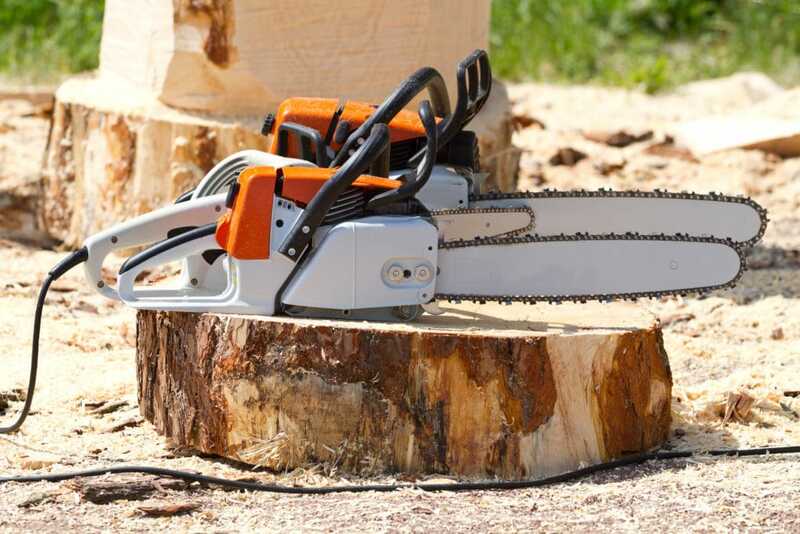 However, as useful as electric chainsaws are, when it comes to picking the right model for your needs, many people find themselves feeling a little intimidated by the sheer amount of choice on offer. 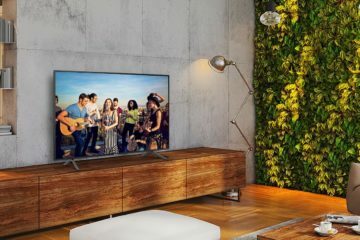 In this article we give you the rundown of the top 10 models on the market; so you can find which is right for you and your needs. If you are looking for a chainsaw which combines power, technology and comfort – the Ryobi RCS2340 Chainsaw could be perfect for your needs. 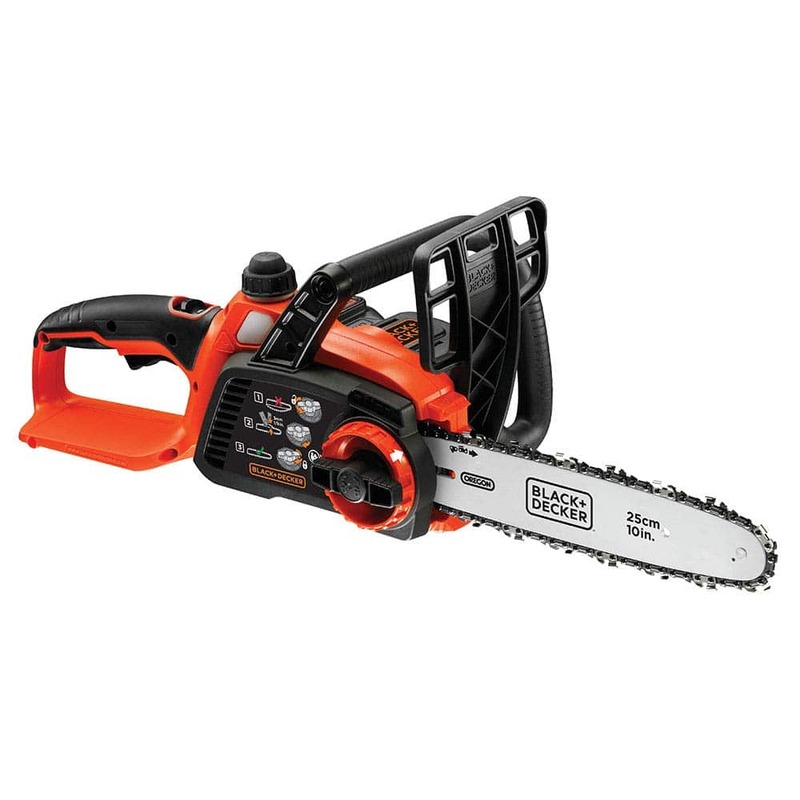 Offering a high-torque 2300 watt motor and ergonomic design, this chainsaw is a great choice whether you’re a novice or a more experienced user. 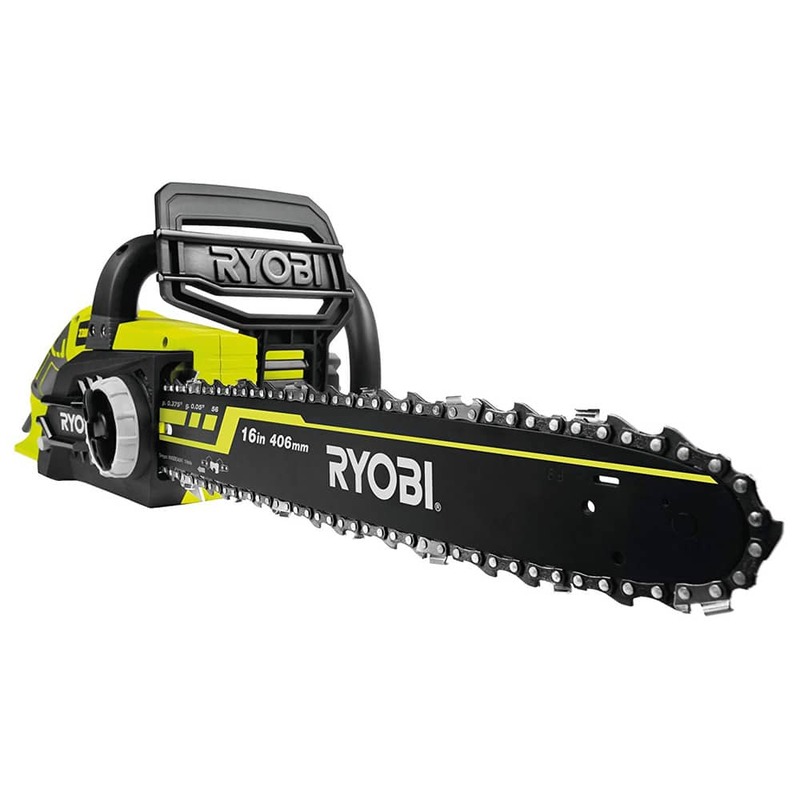 The Ryobi RCS2340 electric chainsaw has a 40cm Oregon chain and an impressive chain speed of 14m/s which is more than powerful enough if you have to cut through tougher woods or thicker branches and logs. No tools are required to tighten the chain either, so you should be able to get the job done quickly without any lengthy interruptions. 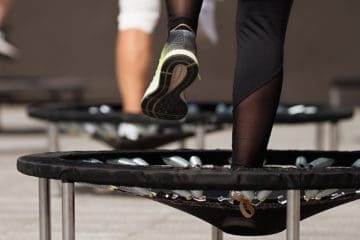 The efficient anti-vibration system helps you to work in comfort, whilst also minimising the potential for injuries if you will be using it for long periods. In addition, the ergonomic wrap-around handle is designed to be easy to grip and hold, which is especially useful when you have to manoeuvre in awkward spaces. In terms of safety, this chainsaw has a combination of electrical and mechanical chain brakes for ultimate protection from accidents and injury. The mechanical brake serves to protect you from dangerous kickbacks by automatically halting the chain should one occur. On the other hand, the electronic brake brings the chain to a complete stop within a microsecond of your release of the trigger. This is very effective at limiting the possibility of injuries should you accidentally drop the machine. Once you have finished, you should find cleaning up is a little easier thanks to the built-in debris deflector on the bottom of the unit. 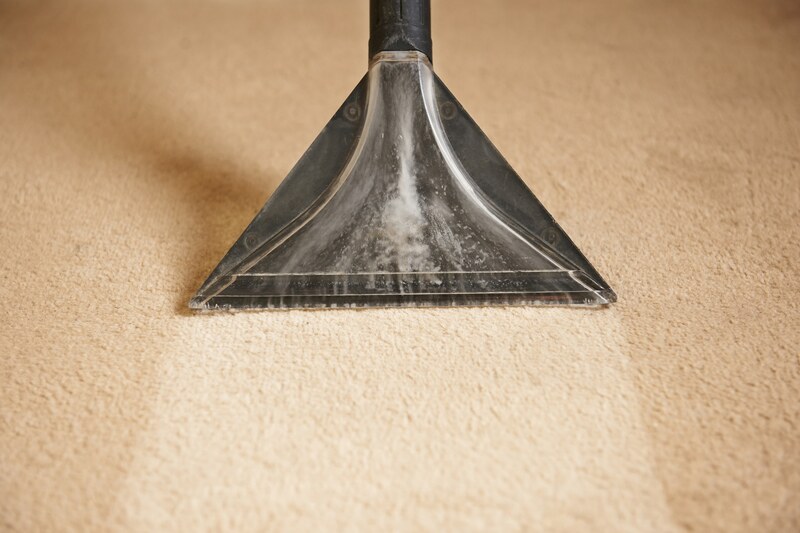 This directs dust and splinters down onto the floor instead of allowing it to be sprayed all over you and your surroundings, thus saving you time collecting debris afterwards. Unfortunately, there are a few negative points to this model. 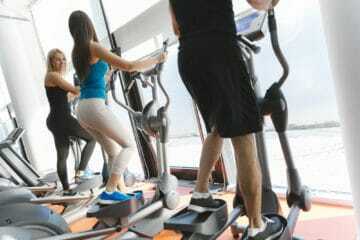 Some users found that the chain became loose frequently, which may be frustrating if you have a lot of work to do. Also, a few people complained that the casing isn’t very hardy and that the assembly instructions could be more detailed. The Black + Decker 18V Cordless Chainsaw is another great option if you are searching for a compact and lightweight model which is comfortable to use. Ergonomically designed, this electric chainsaw weighs only 3.1kg and is evenly balanced so that you can easily work for hours without any fatigue. The 25cm blade length is perfect for general domestic tasks such as pruning your trees, logging and getting firewood ready for winter. But if you are looking to fell larger trees, you should opt for a more heavy-duty model. Adjusting the tension of the chain is easy. All you have to do is turn the dial to wind it up so you won’t need to fuss about with any additional tools. Also, should you find the chain needs some more oil, the convenient semi-automatic oiling system is activated at the press of a button – thus saving you time and effort. Furthermore, because it is cordless, you will have much more freedom to move around without worrying about being tethered to the socket or accidentally cutting through the power cord. The 18V lithium-ion battery takes 5 hours to charge fully, but only supplies around 30 minutes of continuous cutting. It is also prone to overheating. Therefore, you may find you will require a spare battery or two to ensure you have enough power to finish the job. With regard to safety, the Black + Decker 18V Cordless Chainsaw has a double switch startup, which reduces the risk of turning it on accidentally. In addition, the anti-kickback chain adds another layer of protection against injury. The Einhell GH-EC 2040 is our budget chainsaw which doesn’t compromise on power. 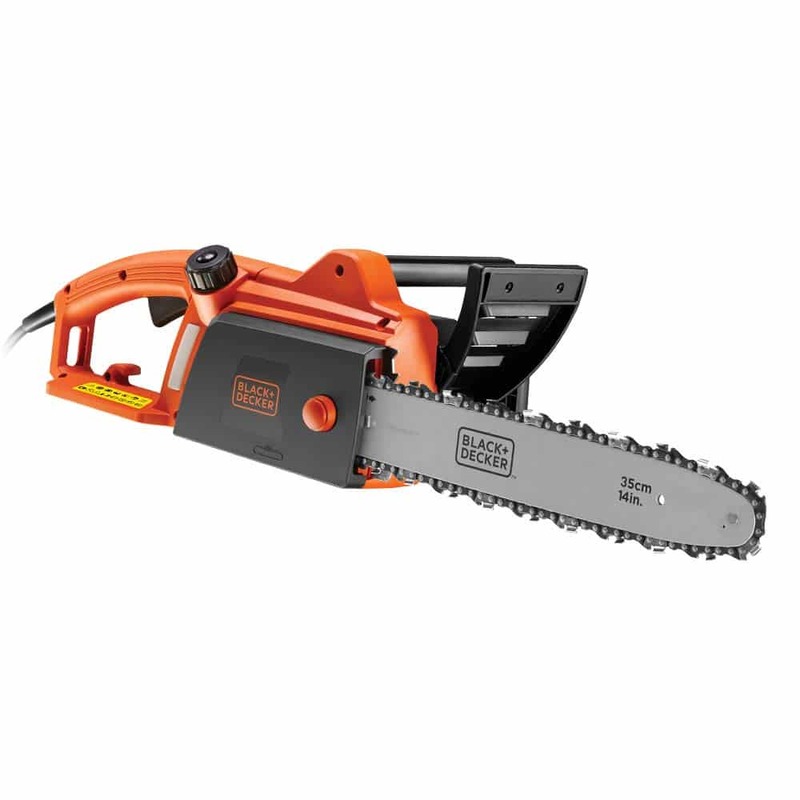 Having a 2000W motor and 40cm Oregon blade, this chainsaw should easily slice through small to medium sized branches. The rapid chain speed of 13.5 m/s will help you quickly cut through logs and branches, so you can get the job done in little time. Likewise, the chain can be tightened and lubricated without the need for any additional tool – so you can get on with the task at hand without needing to stop and find your toolbox. That said, a few people complained the chain is prone to snapping, so you may find yourself needing to replace it relatively quickly. The 5m long cable gives you some freedom of movement, while the ergonomic handle ensures you have a comfortable and secure grip during use. If you are a little clumsy, the tough tubular steel outer casing should give you peace of mind against any bumps or knocks. Safety is paramount when using chainsaws and the Einhell GH-EC 2040 electric chainsaw includes some special features to lower your risk of injury. 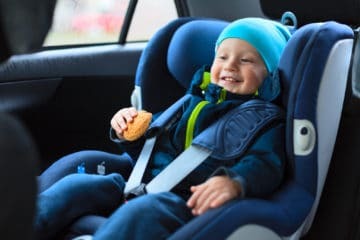 It uses a motor safety switch to prevent accidental starts, as well as a mechanical instant chain brake which offers protection against potentially serious kickbacks. 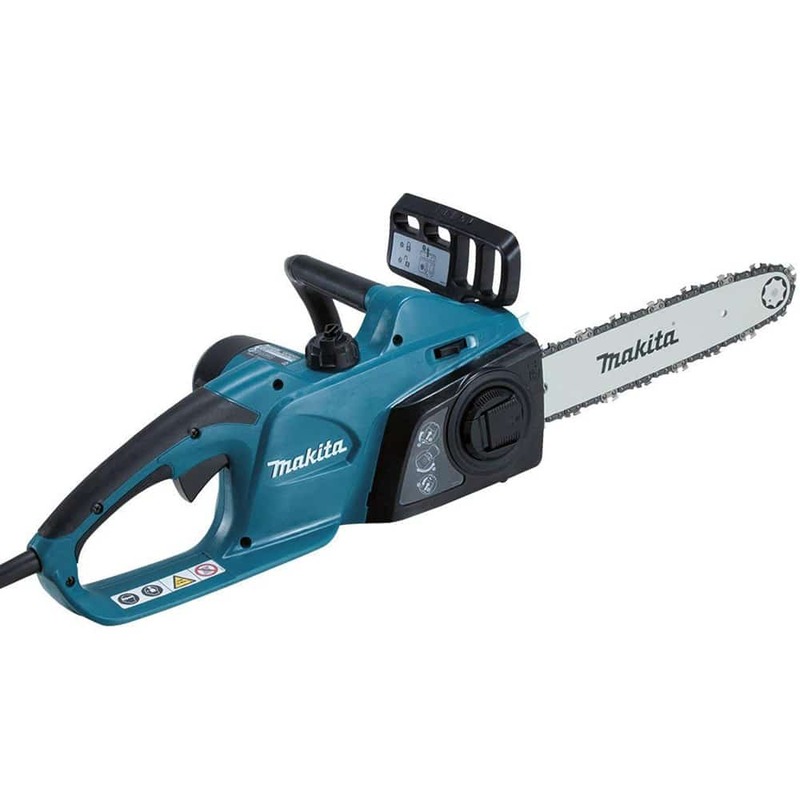 The Makita DUC302Z is another great cordless chainsaw choice which is powerful enough to deal with most domestic garden work, as well as thicker branches and small trees. Having a generous 30cm bar and 8.3 m/s cutting speed, this chainsaw isn’t as hefty or quick as other models we have seen, but will still get the job done effectively. The most obvious benefit of this model over others is its cordless design, which allows you versatility and freedom of movement which is absent with corded models. The Makita DUC302Z electric chainsaw requires the use of two 18V lithium-ion batteries, providing a combined power output of 36V when installed. The batteries have a long lifespan and will reach a full charge in about 90 minutes, so you won’t need to wait around long before you can get on with your garden chores. 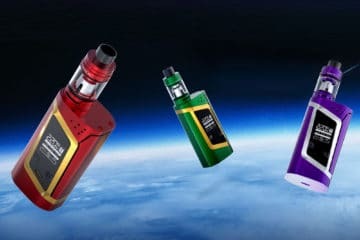 Unfortunately, the downside to all this is that there are no batteries or charger included as standard, so you’ll have to purchase them separately which will be an additional expense. A full charge should give you about an hour’s worth of continual cutting, which is likely to be enough time for all but the largest tasks. When the batteries begin to run low, the low-power indicator light will flash to notify you. This is a useful feature to save you the inconvenience of running out of power half-way through a job. In line with other models we have seen, the Makita DUC302Z doesn’t require you to use any special tool to tense the chain. Instead, there is a handy lever which makes adjustments quick and easy. As you should expect, there are a number of safety features included too. These consist of a soft-start, kickback brake and electric chain brake to minimise risk during use. If you are searching for an electric chainsaw which can manage both small tasks and heavy-duty garden jobs, the Blaupunkt Garden Tools CS4000 could be a perfect choice. Packed Offering a 2400W high-torque motor, this electric chainsaw is powerful and easy-to-operate whether you are a novice or a more experienced user. It has a 45cm chain which runs at a speed of 13m/sec, capable of slicing through thick pieces of wood up to 40cm across – so it should be able to deal with most small trees in your garden without much effort. 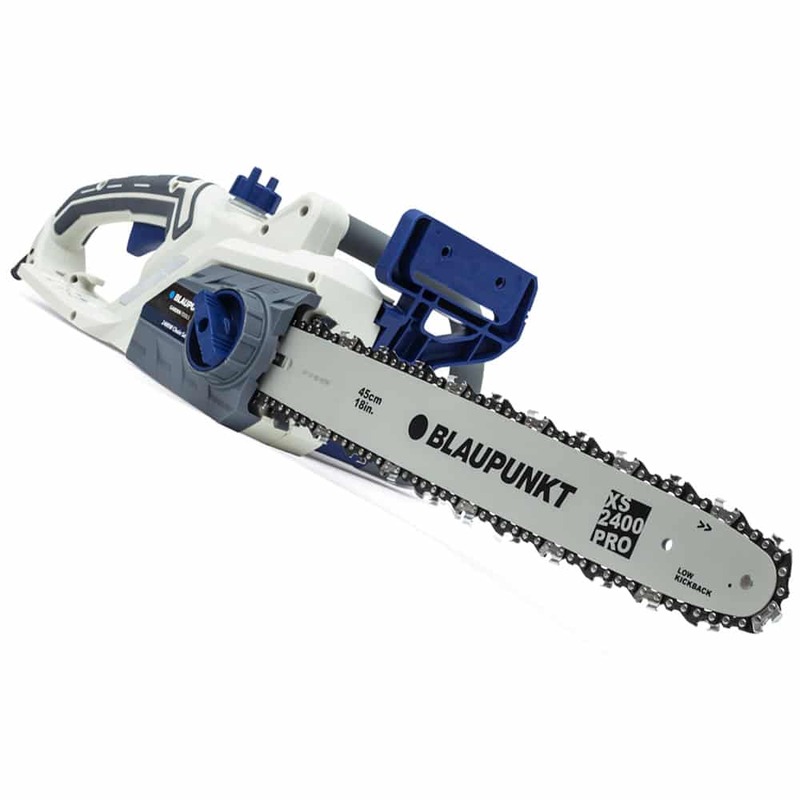 Even though it packs a punch, the Blaupunkt Garden Tools Electric Chainsaw also includes overload protection. So, should you try and tackle something too ambitious, you are protected from causing damage to your machine. Unfortunately, some users found the chain blunts easily, but the handy SDS system means you won’t need to worry about finding the correct tool if you have to replace a blunt chain or adjust the tightness. Additionally, a convenient clear window makes re-filling and monitoring the oil level a breeze – reducing your chances of running out and damaging the unit. The handle is designed to be easy to grip and use for long periods without discomfort. 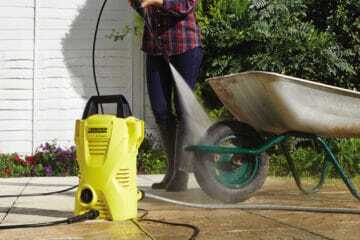 Since the unit is relatively lightweight at 6kg, you should be able to finish all your garden chores without feeling achy or fatigued. In line with other models we have seen, the Blaupunkt has an automatic chain brake and anti-kickback technology to help keep you safe during use. 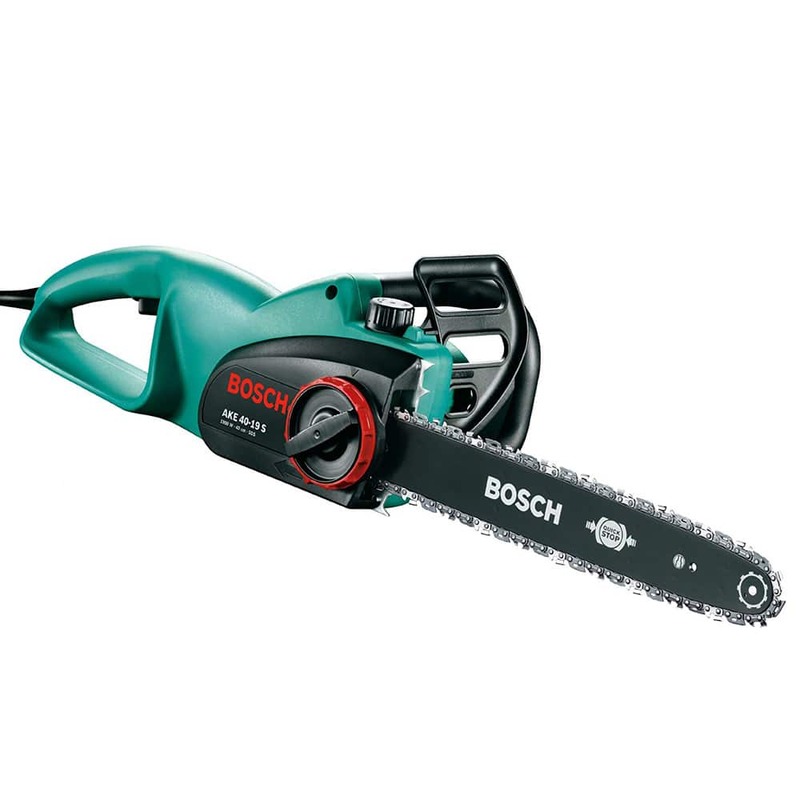 The Bosch AKE 40-19 S is a great domestic chainsaw choice which is perfect if you want to fell small garden trees, prune unwanted branches or prepare firewood for winter. While its 1900W motor may not be as powerful as other models we have seen, the large 40cm chrome chain is spun at an impressive rate of 12 m/s. making this electric chainsaw more than adequate for slicing through logs without any struggle. If you have a lot of garden jobs to be getting on with, you’ll be pleased to know that this chainsaw is designed with comfort in mind. It is equally balanced, so you can use it comfortably even if you hold it at an awkward angle when slicing through branches. The ergonomically shaped handles are easy to grip securely and the entire unit weighs just under 6kg – so you shouldn’t get fatigued even with hours of use. The special SDS system means it is very easy to tighten the chain as you go, without the need for an additional tool. However, many users complained that the chain jumps off frequently during use; so you may find yourself having to stop and tighten the chain more often than you’d like. 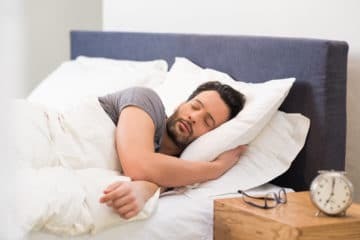 Also, once the chain has come off, it is quite awkward to get it back on – which means you end up wasting time that could be spent being productive. In terms of safety and maintenance, the Bosch AKE 40-19 S has a number of features to make your life easier. The automatic lubrication system helps prevent damage to the chain caused by lack of oil, which can be easy to forget if you’re a beginner. That said, the oil reservoir is prone to leaking, so it’s best you don’t leave it filled up for long periods. Lastly, the rapid-react kickback brake halts the chain in less than a second should one occur – ensuring you will be protected from any kickback injuries. 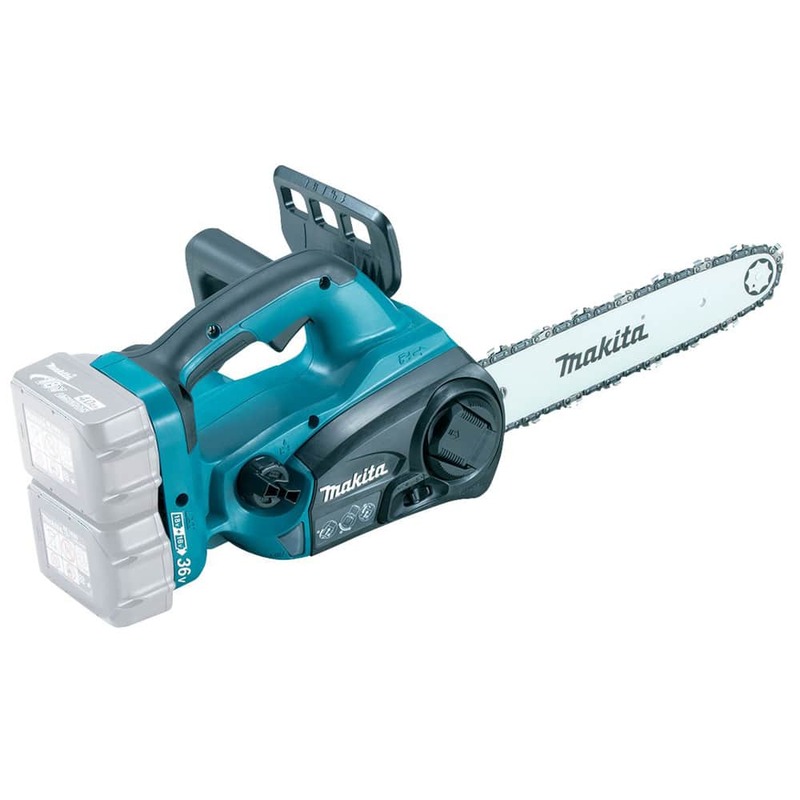 The Makita UC4041A/2 is another popular chainsaw choice which offers high-performance quality for simple garden tasks. The entire unit weighs only 4.7kg, so it is perfect if you are looking for a lightweight and easily manoeuvrable option to limit fatigue. The 40cm chain is generous enough to slice through reasonably sized logs quickly, and is adjusted via a tool-less tensioner; so you won’t need any extra equipment. However, the chain is prone to slipping off and the tensioner isn’t particularly durable; with many users complaining it had broken after relatively little use. The soft-grip handles help to minimise vibration so you can work for longer periods without discomfort. Additionally, the Makita UC4041A/2 includes a metal bumper spike – enabling you to create more precise and controlled cuts should the need arise. Aside from the issues with the chain tensioner, you should find maintaining the Makita UC4041A/2 simple thanks to automatic chain oil dispensing and the easy-view oil level window. This allows you to keep a close eye on the amount of oil available at any time, thus preventing any surprise damage and ensuring the chain runs smoothly. As expected, the Makita UC4041A/2 also includes safety features such as a mechanical chain brake and a kickback brake to defend you against injuries. If you need a comfortable saw which is suitable for day-to-day garden jobs, the BLACK+DECKER CS2040-GB could be just the right choice. This electric chainsaw is designed to minimise discomfort and fatigue when used for extended periods, so you can get all your chores done without suffering. An anti-vibration system and a rubberised rear handle work in unison to limit the strain on your hands during use, especially when tackling larger jobs. This is compounded by the addition of steel bumper spikes, which help to stabilise the machine further – helping you achieve the perfect cut. This electric chainsaw has a high-torque, 2000W motor which puts it in line with the other models on our list. The chain is spun at a rate of 12.5 m/s for highly-efficient cutting, but also has integrated safety measures which halt the chain as soon as you release the trigger. This rapid stop mechanism ensures you are well protected from serious injury. 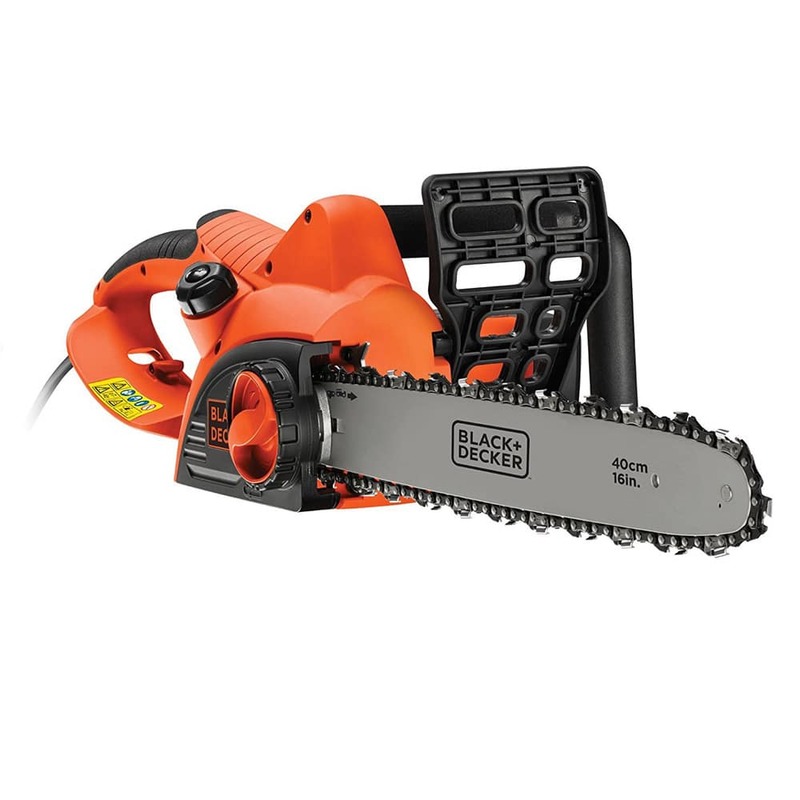 The BLACK+DECKER CS2040-GB claims to have a maximum cutting width of 40cm, which is more than enough to tackle those larger branches you’ve been meaning to get rid of. However, the chain is prone to blunting quickly and slipping easily, so you may have some interruptions while working. If you have some soggy logs to slice, the low kickback chain and automatic oiling system help you to cut through thick and even wet wood with relative ease – while also protecting the chain from wear. An anti-kickback mechanism is included, as well as a rear handguard to keep your arms safe from any accidental slips. 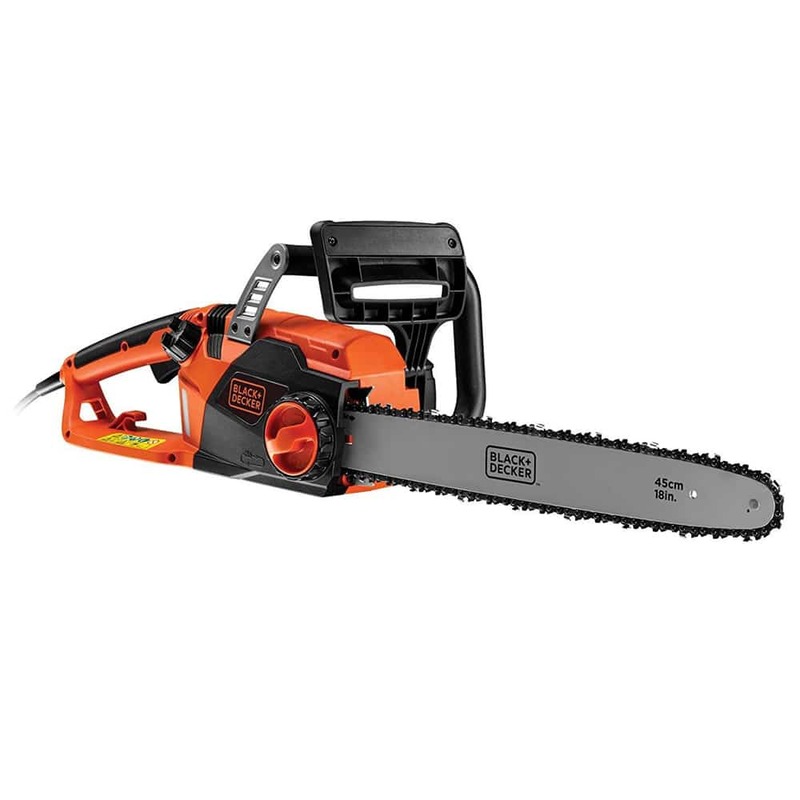 The BLACK+DECKER CS2245-G has a powerful 2200W motor and is a good choice of chainsaw if you have wider logs and trunks to deal with. The 45cm chain can slice through thick wood at a speed of 12.5 m/s, making short work of your tougher jobs. The self-lubricating system automatically dispenses oil onto the chain as you work, so you won’t need to worry about the chain drying out and becoming damaged. 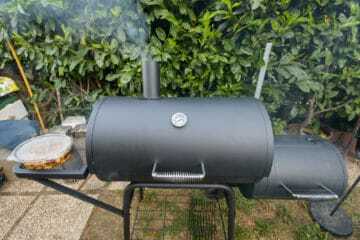 There is also a handy clear-view oil reservoir so that you can quickly see when it needs topping up. The chain brake and kickback protection help keeps you safe from accidents. Unfortunately, the oil reservoir can be prone to leaking, so you’ll need to keep an eye on it to make sure you aren’t losing any. 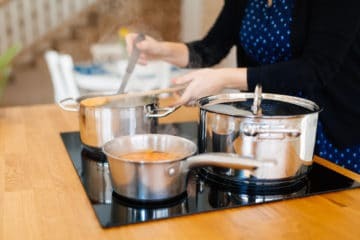 It would also be sensible to empty the oil before storing it away, to avoid a potential mess when you next need to use it. Moreover, the chain seems to get blunt easily even with constant lubrication, so you may find yourself replacing it often. Like other models we have seen, the BLACK+DECKER CS2245-G uses an anti-vibration system to reduce the stress on your arms and hands during use. 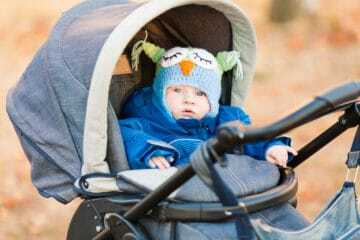 The back handle is moulded in soft rubber and the weight distribution is well-balanced overall; so you should find it is comfortable to use for hours at a time. Yet another chainsaw from BLACK+DECKER; the CS1835 model has a smaller cut than the previous one on our list at 35cm but it still packs a decent amount of power with its 1800W motor. It can cut through thick branches and wet or dry woods with little effort required. The chain speed is an impressive 12 m/s, which is fast enough to produce rapid and efficient cuts. It also has an auto lubrication mechanism, so you can worry less about the wear and tear of the chain. The oil reservoir can hold up to 100ml of oil, so you are unlikely to need to refill it that often. In line with other models, the BLACK+DECKER CS1835 incorporates safety features which reduce your risk of kickback injuries and shield your hands from slipping onto the blades. 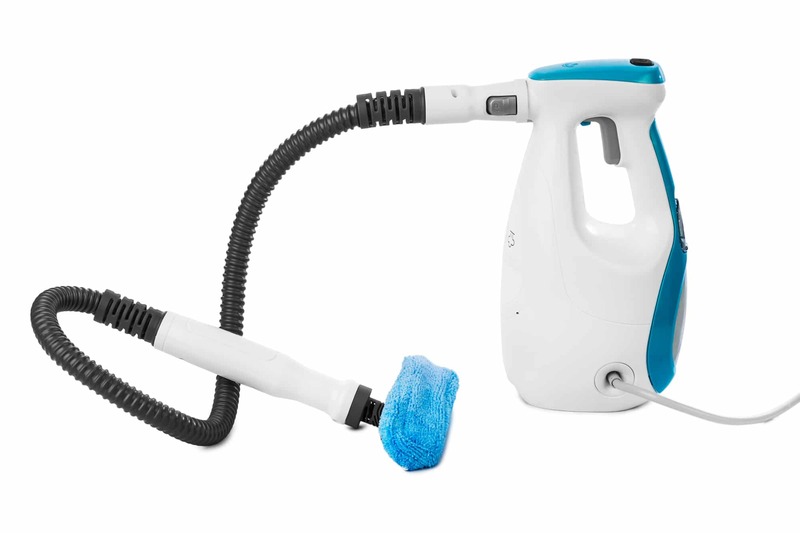 Overall, this model is comfortable to use – mainly due to its anti-vibration mechanisms and ergonomic handle. 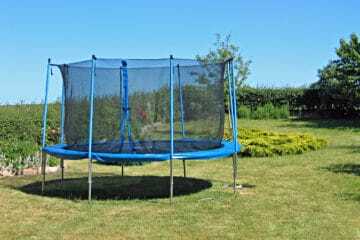 It is also well-balanced, so you should find it easier to work at the unusual angles required to reach some branches. Furthermore, should you need to make a more accurate cut, the steel spike bumper helps you to work precisely. What factors should we look at when finding the best electric chainsaw? Let’s take a look. Bar length, sometimes called “chain length”, refers to the length of the cutting area on the chainsaw. The bar length determines how wide an area you will be able to cut at any one time. 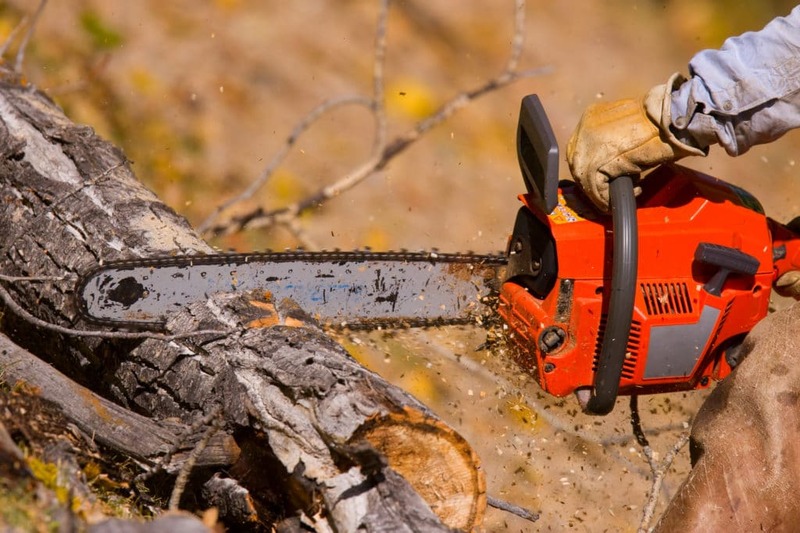 Therefore, whether you are planning to trim branches or cut through very wide logs or tree trunks, you should make sure you purchase a chainsaw which has an appropriate bar length for the job. For general garden tasks, like pruning and trimming the branches from small trees and large bushes, chainsaws with a bar length of 35cm will be sufficient. If you are looking for a chainsaw to prepare firewood with, you should choose one which has a bar length of 40cm at the least. The chain speed describes just that – how quickly the chain rotates around the bar. This is usually measured in metres per second (m/s). The faster the chain speed, the faster you can cut through your target. Being able to work faster is obviously useful if you have a lot of large logs to slice up in one afternoon. Cordless chainsaws allow you to have complete freedom and portability, without needing to worry about being close to a socket. These chainsaws don’t require any fuel. Instead, they use rechargeable lithium-ion batteries as a source of power. This convenience is great if you have a large area of land you need to work on, as you can simply move from place to place with your chainsaw without any limitations. means you can find yourself with a flat battery part way through a job, and then potentially have to wait many hours for the battery to recharge before you can resume working. 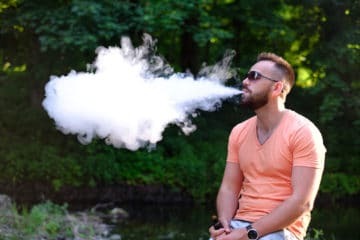 Of course, you can circumvent this issue by purchasing multiple batteries and always having a set ready to use; but it is worth bearing in mind that this can prove expensive. To begin with, many cordless chainsaws are sold as “body only”, which means you will have to buy your first set of batteries and charger separately. Any additional battery purchased will greatly add to your upfront costs. The use of batteries often makes cordless chainsaws the heavier option, which may be worth considering if you are going to be using it for long periods. On the contrary, corded chainsaws are more lightweight and won’t run out of power at an inconvenient moment. They are also usually more powerful than battery-powered cordless chainsaws, so they can be the better choice if you are likely to be cutting thicker or tougher wood. 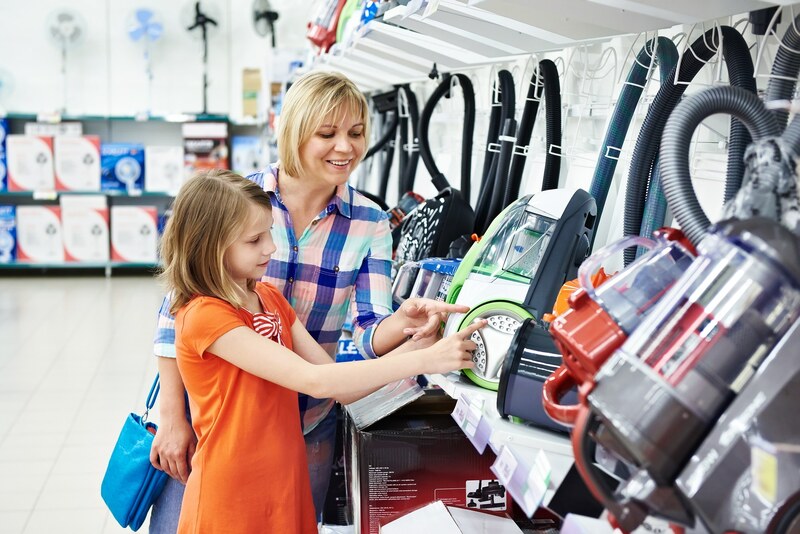 Because corded chainsaws must be plugged into a power socket at all times, this reduces your reach to the length of the cord itself – unless you use an extension lead. You must also be careful not to trip over or cut through the power cord during use. Most electric chainsaws are easy to use, but if you choose a model which is too heavy or uncomfortable, you are unlikely to enjoy using it. 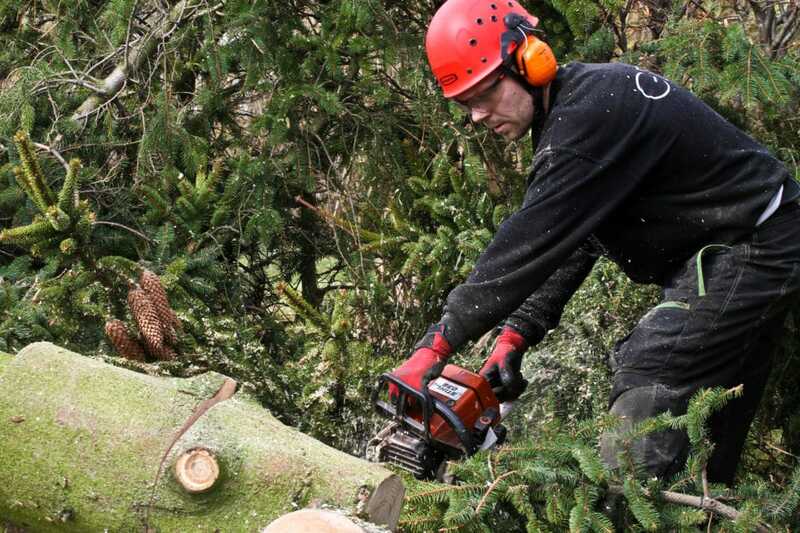 Therefore, if you are planning to use your electric chainsaw for long periods of time, it is very important that you check the weight, features and design are suitable for your circumstances. Many electric chainsaws have ergonomically designed handles which are easy to grip securely, and some models are carefully balanced so you will find them easier to hold at different angles. This reduces strain and fatigue, so you can get your cutting tasks done in comfort. Furthermore, it is best to look for a model which offers tool-free chain tensioning. This means you can simply turn a dial to tighten the chain as required, without having to stop what you’re doing and waste time using additional equipment. Safety is a serious matter when it comes to chainsaws. With power tools like MIG welders, table saws and cordless drills, if they are not used responsibly, they have the potential to cause devastating and even life-threatening injuries in the blink of an eye. One of the biggest risks of injury from chainsaw use is “kickbacks”. 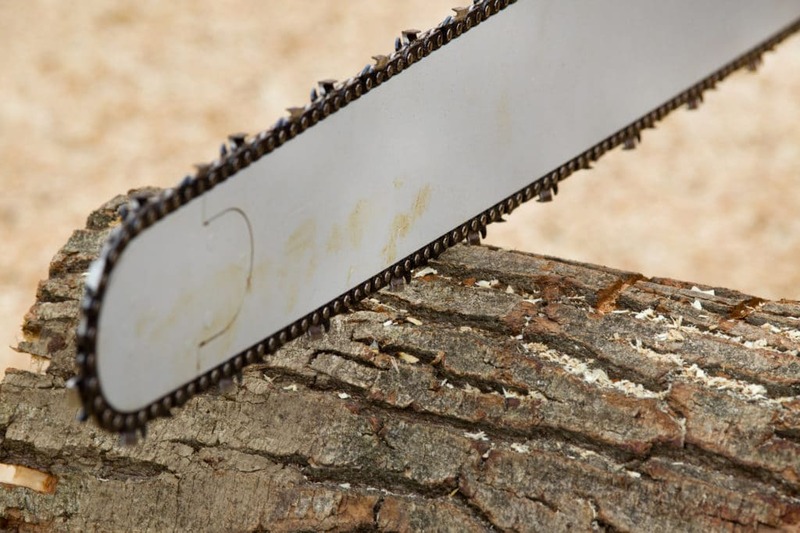 This usually occurs when a tooth at the tip of the chainsaw collides with wood which it doesn’t cut through, thus throwing the chainsaw back and up towards you. The risk of kickback can vary among wood types, wetness and humidity levels. Many electric chainsaws have built-in kickback brakes which can help protect you should a kickback occur. These automatically stop the chain if a sudden change in direction is detected. You should also look for a model which has additional safety measures such as two switch operation and automatic stop mechanisms. Two switch operation protects you from accidentally turning the chainsaw on, while auto-stop ensures the chain stops spinning should you release the trigger and drop the chainsaw. If you will be using your electric chainsaw professionally or for long periods of time, it is also worth considering a model which has vibration reducing mechanisms. 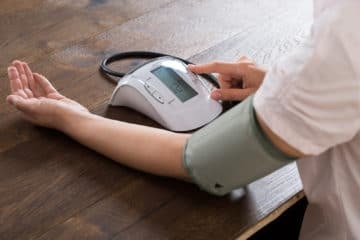 These work to prevent the risk of hand-arm vibration syndrome, which is the result of damage to your tissues from regular exposure to vibration. Any of the electric chainsaw reviews we have looked at would make great choices, but our overall favourite has to be the Ryobi RCS2340. The powerful 2300W motor, combined with a 40cm Oregon chain and a rapid chain speed of 14 m/s, means that this chainsaw can slice through the toughest of woods without breaking a sweat – so you’ll be able to tackle any cutting task with confidence. Tool-less chain tensioning means you can quickly make adjustments without wasting precious time, while the anti-vibration feature and ergonomic design ensure you can use the Ryobi RCS2340 for long periods in comfort. We were also impressed by the combination of mechanical and electrical chain brakes, which defend against injury from kickbacks and other accidents. Furthermore, the convenient debris-deflector directs all the dust down into one area, making it much easier for you to clean up when your work is done. 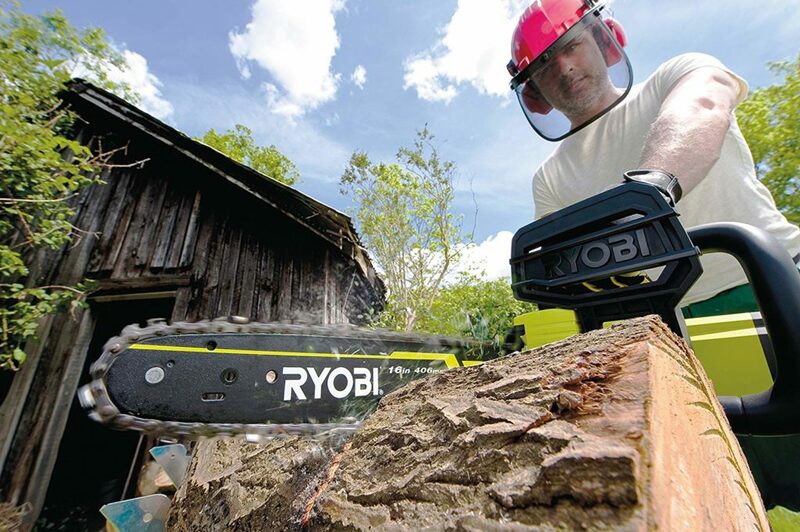 Overall, if you’re looking for a powerful, easy-to-use chainsaw which doesn’t compromise on safety – we think that the Ryobi RCS2340 is the best electric chainsaw for you.